Samsung galaxy tab has been leaking off the entire time. The new tablet appeared with thin bezels and no home button on the front, raising the question what type of biometric security it would have. 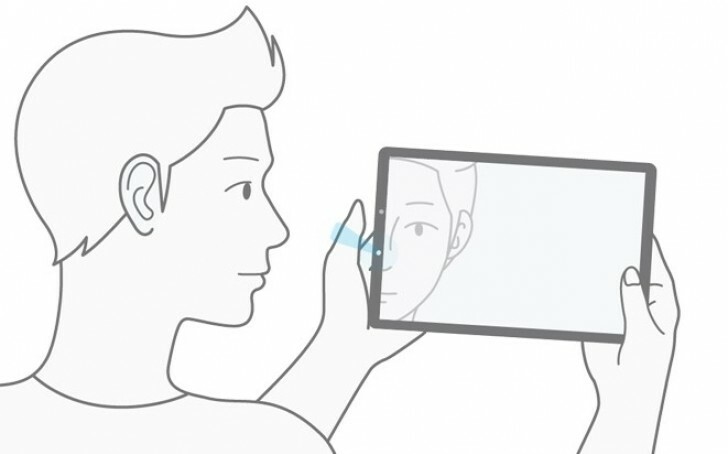 Rumors have been suggesting iris scanner and face recognition features, and finally, SamMobile reported that the Galaxy Tab S4 would indeed sport them both. The information was leaked from a firmware video that shows how both features work. The animation that explains how the iris scanner and face recognition act when powering the device is the same as in the Galaxy S9 and Galaxy S9+ smartphones. Both features work simultaneously, and when the sensor recognizes either the face or the irides, it unlocks. This allows the scanners to operate both in light and dark environments. The Samsung Galaxy Tab S4 is nearing its launch. It is likely to make an appearance on August 9 at the Galaxy Note9 unveiling and most likely will be announced at IFA in Berlin. We expect the device to arrive with Exynos 9810 chipset, Android 8.1 with Samsung Experience UI on top. It is also likely to have a cheaper variant with the same 10.5” screen size, but lower-tier specs and the model will be named .